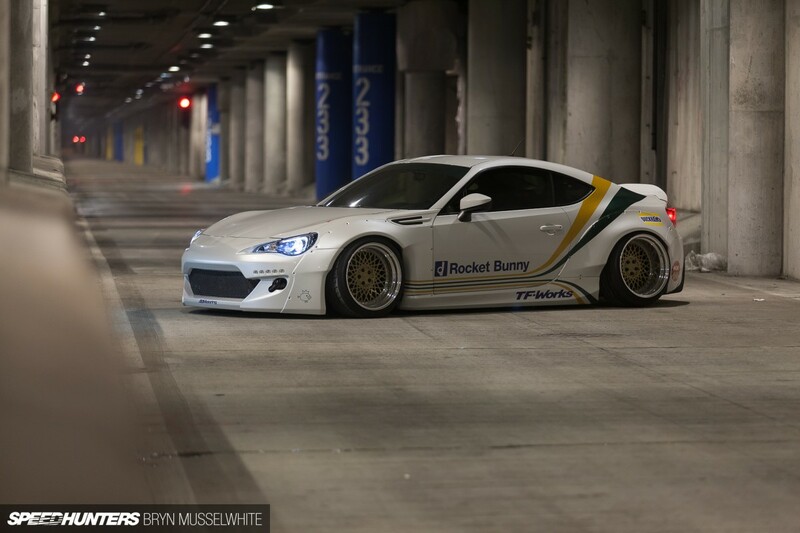 The phrase "Rocket Bunny" is often synonymous with the Toyota GT86 cars. I'd seen many Speedhunters and Stancenation features before ever seeing one in person. This particular car showed up to the Michigan State University Fall Cider Cruise a few years ago, and, as you'd expect, drew a crowd. You might notice the Jackson Racing supercharger up front, giving the car an estimated 280 hp. 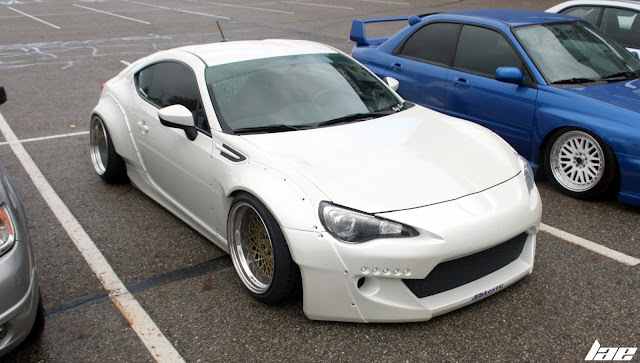 The car just looks so agressive with the TRA-Kyoto Rocket Bunny Version 2 rivet-on widebody kit and the Leg Sport rear spoiler. The car is running an AirLift Performance Air ride kit with custom Air Lift top mounts and camber plates, STANCE adjustable lower control arms, Whiteline bushings everywhere, Whiteline front and rear sway bars and endlinks, Ferodo and DBA brake parts, Competition Clutch and a Tomei 2-way LSD. 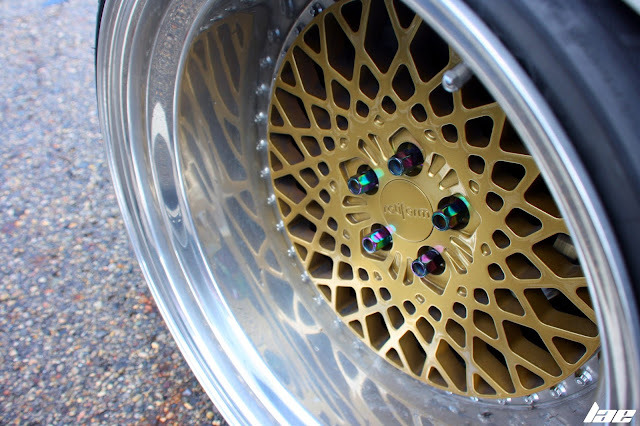 Its wearing a nice set of Rotiform LHR wheels in 18x9.5 size up front and 18x11 in the rear, wrapped in Dunlop DZ101 235/35R18's up front and 265/35R18's in the rear. You may have seen this car featured over on Speedhunters last year. Bryn Musselwhite has some great pictures and an even better write-up. Go check it out here. All of the specs and build lists were from this post, as well. Thanks for reading, and, please, check back often for more great content.